This website, including any subsection accessible through any page but excluding any third-party websites linked to this website (collectively, “websites”) is owned, published and maintained by CO-OP Financial Services. The services that CO-OP Financial Services provides to you through this website are subject to the following Terms and Conditions. By accessing and using the CO-OP Financial Services website, you accept and agree to these Terms and Conditions without limitation or qualification. If you do not agree with these Terms and Conditions, please do not use the CO-OP Financial Services website. All of the pages, screens, text, designs, graphics, content, images, source code, data and all other information and matters on this website are owned and controlled by CO-OP Financial Services. Only CO-OP Financial Services has the authority to display and use such on this website and all are protected by U.S. copyright laws and international treaties. You are authorized to view the information and matters available on this website for your informational purposes only. You may download copyrighted materials for your personal or internal business purposes only. You acknowledge that you do not acquire any ownership rights by downloading copyrighted material. You may not copy, display, distribute, transfer, link to, reproduce, license, frame, alter, create derivative works of or republish all or any portion of this website for any commercial or public purpose without CO-OP Financial Services’ prior written consent which may be withheld for any reason. CO-OP Financial Services owns the following service marks, some of which are federally-registered and some of which are not: CO-OP Financial Services, CO-OP Shared Branching, CO-OP ATM Processing, CO-OP Card Services, CO-OP Network, CO-OP Check Imaging. Other featured words used on this website to identify the source of goods and services are trademarks and service marks owned by third parties. You may not use, copy, display, distribute, modify or reproduce any of the service marks found on this website except as authorized herein. You may not use any of the CO-OP Financial Services service marks as a link to this website except pursuant to a written agreement with CO-OP Financial Services expressly authorizing approval. You are prohibited from posting on or transmitting to this website any defamatory, libelous, obscene, pornographic, profane, threatening, or unlawful materials or any materials that could constitute or encourage conduct that would be considered a criminal offense or give rise to civil liability, or otherwise violate any law; or using this website in any manner that violates any law. You may not use any hardware or software intended to damage or interfere with the proper and timely functioning of the website or to surreptitiously intercept any system, data or personal information from the website. You may not take any action which imposes an unreasonable or disproportionately large load on the website’s network or other infrastructure. Entries must be received by 11:59pm Pacific Time March 31, 2017. Winner will be randomly drawn on April 3, 2017 and notified on April 4, 2017. No purchase necessary to win. 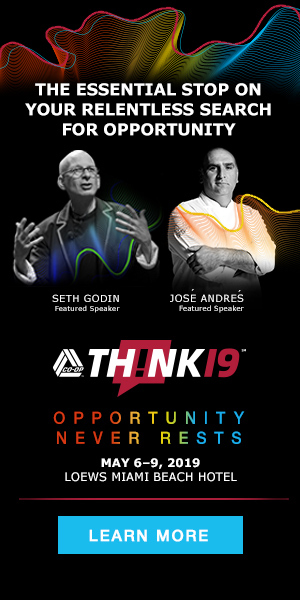 To enter: register to attend THINK 17 and be automatically entered; or, mail a post card with your contact information to: CO-OP Marketing Dept. Attn: Wicked Drawing, 9692 Haven Avenue, Rancho Cucamonga, CA 91730. Winner will be awarded a pair of tickets (valued at $400) for May 9, 2017 showing at 7:00 pm in NY, NY. CO-OP employees and their family members are not eligible to participate. Offer void where prohibited.